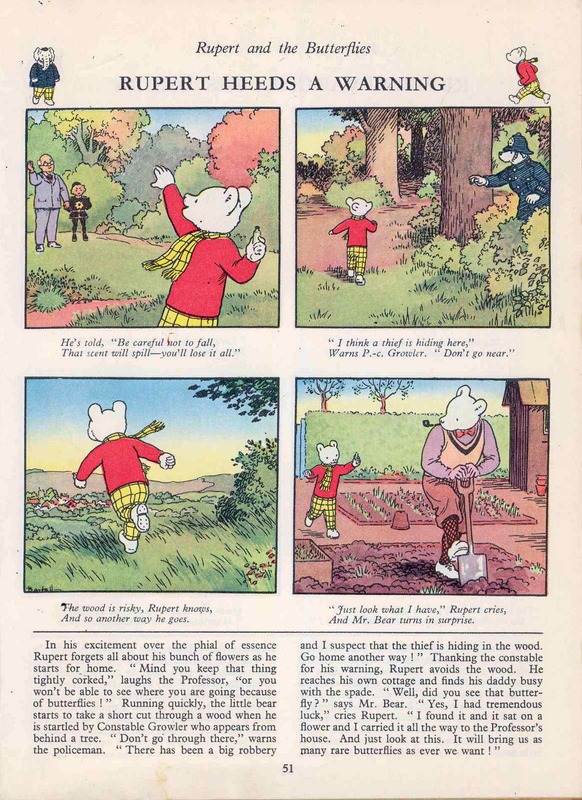 The article provides an analysis of a style of story telling from an enduring and quintessentially British children’s cartoon strip; Rupert the Bear. This example of multi-modal story telling combines looking, reading and hearing; in a manner that helps bring the story to life. The cartoon strip analysed is a children’s story called Rupert the Bear that first appeared in The Daily Express newspaper in Britain in the 1920’s. The cartoon strip went on to develop into a franchise covering books, TV series and branded merchandise over the last 90 years. In his article Rob Waller summarised the structure of the narrative and how it may be read at different levels: page title (‘Rupert Heeds A Warning’), pictures, rhyming couplets that link the pictures and the full text. This is truly multimodal, involving looking, reading and hearing (the couplets under each picture are meant to be read aloud). be aware of the most. With good habit and savings, you can be assured of having enough to start your own business.